With the merger of Alaska Airlines and Virgin America complete, two award-winning airlines are joining forces to provide a great customer experience. This week, Virgin America Elevate members are being invited to activate new Alaska Airlines Mileage Plan accounts and convert points to earn and redeem rewards across both networks. You can take your Elevate points with you, too! Alaska Airlines has created new Mileage Plan accounts for Elevate members and is offering members a chance to transfer their points with a 30 percent bonus (e.g., 1,000 Elevate points = 1,300 Alaska miles). Members who have Elevate Gold or Silver status will be matched to comparable elite tiers in Mileage Plan. Virgin America customers have grown used to the benefits they receive from Elevate, but there are fundamental differences between Elevate and Mileage Plan—not better or worse, just different. Some readers may also be taking a fresh look at Mileage Plan since Alaska Airlines is providing more opportunities than ever to reach your destination. I’ll try to explain how you can continue to get great rewards as a frequent traveler. When traveling with Alaska Airlines or Virgin America and credit flights to Mileage Plan, a mile flown is a mile earned. Most other airline loyalty programs calculate the number of miles based on the price of a ticket. The good news is that bargain hunters don’t have to sacrifice earning fewer miles, and business travelers are still rewarded with 25-75 percent more miles when they buy more expensive fares. Elite members earn even more miles on top of this. 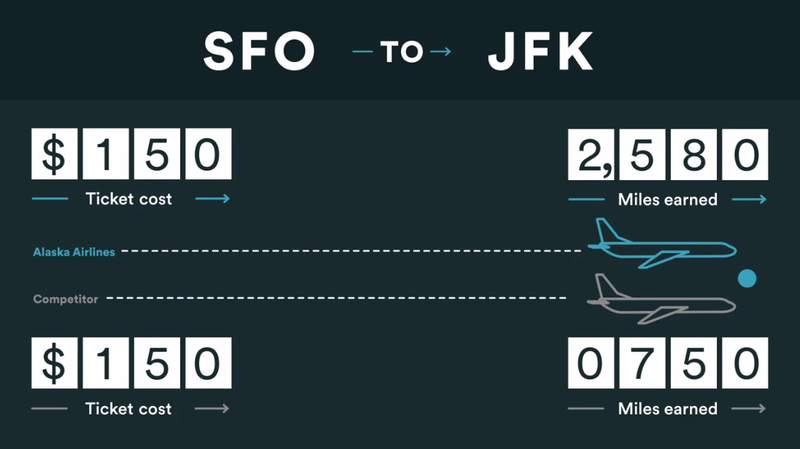 If you score a sweet deal on a ticket, you’ll still earn one mile for every mile flown. Additionally, Alaska is allowing you to convert Elevate points to Mileage Plan miles at a 1:1.3 ratio. There is a similar method to redeeming miles. Alaska Mileage Plan prices awards based on the distance or region of the flight (often several destinations in a single region share the same award cost). This is different from Virgin America Elevate, which links the number of points required for an award to the price of a ticket. On average, you should not expect a huge difference between your past experience with Elevate and the new experience with Mileage Plan. The caveat is that not all awards may be available for all dates, and awards with fewer restrictions cost more miles. Great deals are available if you can be flexible with your schedule and travel during periods of low demand. On the other hand, you will still earn and redeem more miles when demand and prices are high. One favorite perk of Alaska’s elite members is access to complimentary elite upgrades. Mileage Plan is actually very generous with upgrades and provides them in a variety of different ways. You can redeem 15,000 miles for an upgrade on most fares (one-way, including connections). You’re eligible for a complimentary upgrade near departure on any fare if you have elite status. You’re eligible for a complimentary upgrade at booking on eligible fares if you have elite status. You’re eligible for a complimentary upgrade at booking on a larger number of eligible fares by redeeming a MVP Gold Guest Upgrade code. Note that all upgrades are limited by changing availability, similar to award tickets. However, the point is that many types of fares are eligible and you may be able to confirm your upgrade months in advance. You can even upgrade the discounted companion fare provided with the Alaska Airlines Visa Signature® card. Alaska has also retrofitted many of its aircraft to add up to 30 Premium Class seats, opening up additional upgrade opportunities for elite members when the First Class cabin is full. It’s true that Alaska Airlines and Virgin America look very different from the outside. But in many other cases the two carriers are more similar than you might think. In fact, both airlines receive top ranks for customer service. Take another look if you haven’t flown with Alaska Airlines recently. The airline has over 80 new aircraft on order and is refurbishing most of its older models to include power outlets at every seat, a streaming entertainment system offering free entertainment on your personal device, and extra-large luggage bins. Starting this month, you can also upgrade to a new Premium Class section in the main cabin that provides extra legroom and complimentary snacks and beverages. The airline also recently launched Free Chat, allowing you to message your friends via iMessage, Facebook Messenger and WhatsApp on Wi-Fi enabled flights. Meal service has been improved, too, with plated meals on short flights in First Class, printed menus on longer flights, and a selection of locally sourced snacks and alcoholic beverages. Even though you can’t order from a touch-screen, Alaska’s flight attendants are there to help if you need anything during your trip. Just how difficult is it to earn elite status with Mileage Plan? While you can earn status by flying on a mix of partner carriers, you actually get a boost—up to 20 percent fewer miles required—if you choose to fly only on Alaska Airlines and Virgin America. Alaska tracks both methods and will award you status based on whichever qualifications you satisfy first. There’s also no need to spend a certain dollar amount—a requirement that many carriers have introduced. Mileage Plan recognizes its frequent customers with three elite status levels and there are generous benefits that go along with each status level, too. In addition to an incredibly generous elite upgrade policy, MVP Gold and MVP Gold 75K members always receive a free beer, wine, or cocktail when traveling in the main cabin. (On a regional connection with Horizon Air? Every passenger gets free beer or wine!) MVP Gold and MVP Gold 75K members also get four Gold Guest Upgrades every year to use for themselves or a friend. Finally, MVP Gold 75K members get 50,000 bonus award miles upon qualifying each year (tier-matched status is not eligible), making it easier to book that next award. Elite members also earn more miles with every flight. MVP members earn 50 percent more on base miles earned, MVP Gold members earn 100 percent more, and MVP Gold 75K members earn 125 percent more miles. These are award miles—not elite qualifying miles—but you can still get bonus elite qualifying miles for purchasing more expensive fares. MVP members enjoy two free bags, priority boarding, a 50 percent bonus on base miles earned, and First and Premium Class upgrades upon availability. Mileage Plan members also have the option to apply for the Alaska Airlines Visa Signature® card – a popular credit card that offers cardholders one mile earned for every dollar spent on purchases, triple miles on Alaska Airlines purchases, a 30,000-mile new cardholder bonus after qualifying purchases, an annual companion fare offer from $121 ($99 plus taxes and fees starting from $22), and a free checked bag on every flight. 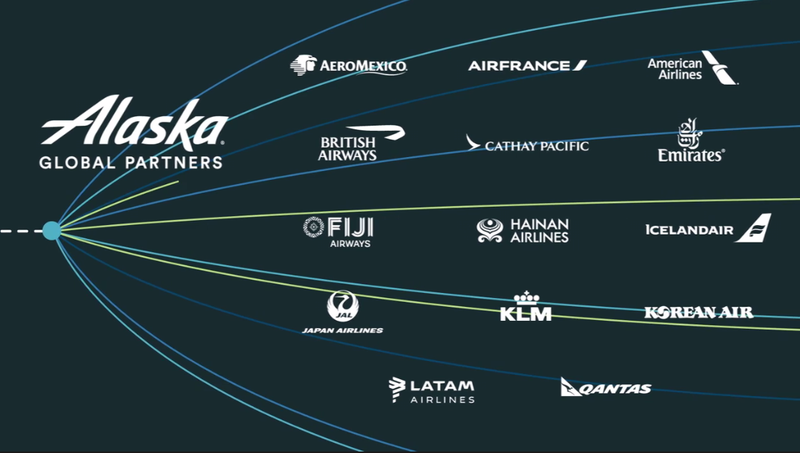 One of the biggest selling points for Alaska Mileage Plan is a robust set of international partnerships. Like Virgin America, Alaska Mileage Plan has its own relationships with a portfolio of global carriers instead of joining an existing alliance. As a member, you’ll have access to a global network of more than 900 destinations. Mileage Plan members can also earn and redeem miles with American Airlines to expand their options within the U.S.
Members can continue to use their points for travel on Elevate partners, but transferring those points to Mileage Plan might provide even greater global reach. For example, travelers to Asia can choose from Cathay Pacific, Hainan Airlines, American Airlines, or JAL. Transfer your Elevate points to Mileage Plan with a 30 percent bonus, and use Alaska’s interactive award chart to learn more about how to plan your next vacation! You’ll earn miles visiting all 118 destinations that Alaska Airlines and Virgin America serve or any of the more than 900 destinations served by Alaska and Alaska Global Partners. There are many details and exciting opportunities to leverage the Mileage Plan program in ways that aren’t easy to explain in a short blog post. I’ve provided some links to more information, and you should try exploring the Mileage Plan program on Alaska Airlines’ website. Questions or thoughts? Let us know in the comments. 33 comments on "Welcome to Mileage Plan: Let’s take a tour"
Am i able to combine my American Airlines and Alaska miles? 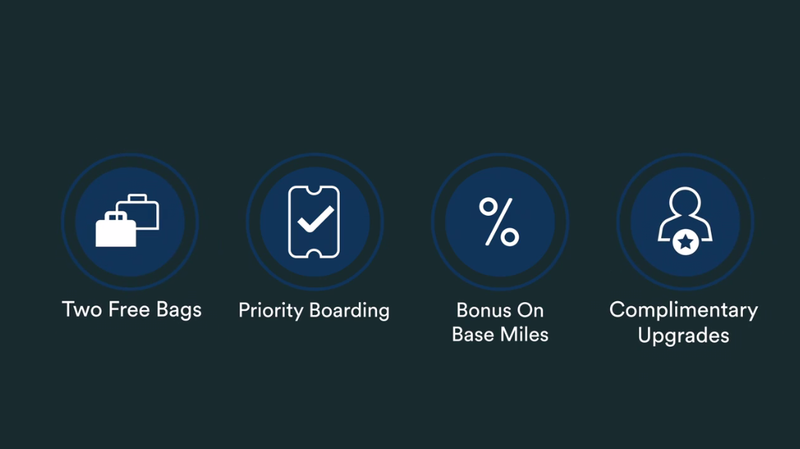 Do miles traveled using mileage awards count towards elite status? No, you can’t accrue miles with award travel. Miles are earned on flights you pay for. we are mvp at 20,000 miles for the first year. So if we earn 20,000 miles the second year are we then gold? Hi Lynda, great question. Mileage Plan miles earned in the same calendar year qualify for elite status. You’ll have to earn 40,000 miles in the second year to be eligible for MVP Gold status. To clarify, travelers have to qualify for Plan status every calendar year. Each member starts over on January 1 and works back up MVP, MVP Gold, etc? Yes, you qualify for elite status every calendar year. But once elite status is achieved, you hold that status for the rest of the calendar year as well as the following year. For example, if you earn 40,000 miles in 2018, you’ll become an MVP Gold and hold that status through Dec. 31, 2019. In order to stay an MVP Gold in 2020, you’ll need to earn at least 40,000 miles in 2019. Let me know if you have any other questions! Hello! If I am an Alaska Airlines Visa Signature Card Holder as well as MVP, will I still receive a free checked back on a Virgin America flight? Thank you! Hi Curious – Not at this time but it’s something we’re working on. Does your lower mileage redemption rates include Hawaii? ….or is travel to Hawaii still 20,000 each way? Am I required to convert my Elevate points to MVP? I am actually a member in both and am trying to understand the advantages of converting at this time. Super excited about my two favorite airlines coming together. Hi Mona – You’re not required to convert your Elevate points into Mileage Plan miles and can continue to use your points with Elevate. Converting your points into miles gives you access to over 900 destinations served through Alaska’s global partners. Plus, you can redeem your miles for Mileage Plan’s new lower starting price for awards. I am a Virgin America Elevate Gold member. I have been given Alaska Air Mileage Plan MVP Gold status. Elevate Gold is the highest elite status on Virgin America. Why wasn’t I given the highest elite status on Alaska, MVP Gold 75K? Hi Seth – We status matched Elevate status levels to Mileage Plan (Silver = MVP, Gold= MVP Gold) . We also looked at your flight activity in 2015 and 2016 to see if you would have met the status requirements for MVP Gold 75K. Hello, I’m an Elevate member but never received an invitation to activate my Alaskan Mileage Plan. Are you still sending invites or should I contact customer service? Thanks. Please reach out to Customer Care and they can look into your account. 1 (800) 654-5669.
can Alaska Visa Signature card holders use their $99 companion fare on Virgin Flights? Hi Scott – not yet, but stay tuned! We’re looking at adding this benefit. I had high hopes for this merger, but trying to link my Elevate account to Alaska has been a nightmare. Not a good start at all to this merger. Hi Andrew – I’m sorry you’re having trouble! Please call 1 (800) 654-5669 for assistance. Hi Linda – please call 1 (800) 654-5669 for assistance. Thank-you Alaska for adding lower tier rewards (5,000-7,500 miles) for shorter routes! Our family travels up & down the West coast primarily & we have family in NY. The blogs are very helpful & informative on how to maximize mileage earnings & redemption. We’ll probably never be MVP’s, but when we’ve had CS issues Alaska resolves it. We like the Alaska experience & feel you DO listen with these new rewards. From the colorful paint jobs & regional menu to the prop & tarmac Skywest/Horizon flights, Alaska makes flying FUN! Where do I apply for miles to be added to my Mileage Plan from Virgin America Elevate? You can convert your points at a rate of 1 point for 1.3 miles at alaskaair.com/convertpoints. Do I have to do anything myself or will you guys be doing that? Hi Gale, what do you mean? Good article. I’d like to know about the Million miler qualification for Virgin Elevate members. The Elevate plan also allowed Credit Card earned miles as qualification to Elite status which alaska does not. Do Elevate members total current milage (including credit card earned miles) cont towards elite status such as Million Miler? This is not covered in the article. Miles earned on the Alaska Airlines Visa Signature card do not count toward elite status. All Virgin America flights credited to Alaska Mileage Plan will count toward Million Miler status. Points earned in Elevate do not count toward Million Miler.